If you are planning an event in London and are looking for somewhere very special, then why not consider The Dorchester? This beautiful hotel is a London icon with a fascinating history. Did you know for example, that Prince Philip celebrated his stag night the evening before he married the then Princess Elizabeth in 1947? After opening in 1931, it was a famous haunt for writers and artists including poet Cecil Day-Lewis and novelist Somerset Maugham. Elizabeth Taylor and Richard Burton frequently stayed at the hotel during the 1960s and 1970s. This five star luxury hotel on Park Lane will lend a distinction to any event or celebration. With 10 event rooms to choose from, you are guaranteed to find the perfect setting for your event whatever the number of guests. The fabulous art deco Ballroom can seat a massive 500 guests for a banquet, 500 theatre style for a meeting or conference or a staggering 1000 for a cocktail reception, whilst the Crystal Suite with it’s contemporary decor offers a more intimate dinner for up to 60 or meeting for up to 60 theatre style. 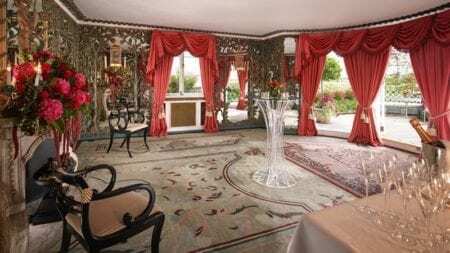 Most of the event spaces are on the ground floor, but perched up on the eighth floor, with stunning views, you will find the Penthouse and the Pavillion which respectively can hold 18 and 34 guests for meetings and dinner and 40-60 guests for a standing reception. 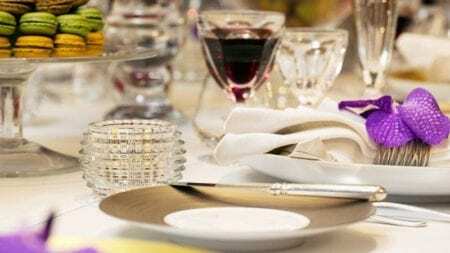 With 127 chefs on site, they will work with you to create a menu to your exact specifications for any event, so you can be sure that the catering will be absolutely top notch. Added to this, private dining is available at China Tang at The Dorchester and the 3 Michelin starred Alain Ducasse at The Dorchester. Conveniently located in central London, the hotel is easily accessible from Heathrow and Gatwick. 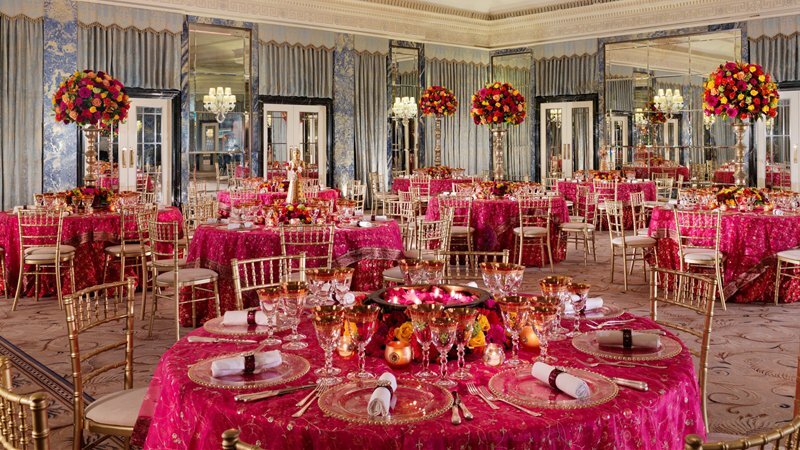 The Dorchester offers everything you will need for any bespoke event. 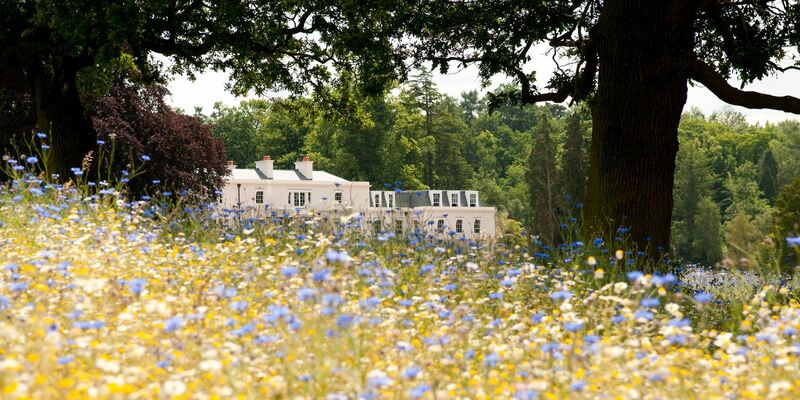 Coworth Park is a sister hotel to The Dorchester and is the epitomy of luxury country living. Set in a 240 acre estate near Ascot in Berkshire, Coworth Park is perfect for meetings, company away days and team building activities. Just 20 minutes from Terminal 5 at Heathrow with masses of on-site parking, it even has it’s own helipad. Four event rooms, three of which have their own private terraces, are all equipped with the latest technology, cater for numbers from 30-100, whilst the Tower House offers an intimate space for up to 30. Perfect for brainstorming sessions, or meetings where peace and privacy are required. This five star country hotel has 70 beautifully appointed bedrooms, some of which are situated in the stable block and cottages, with signature suites being in the Mansion itself. 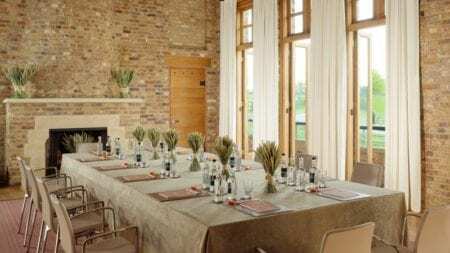 There is one restaurant located in the Mansion House, whilst The Barn, offers a more rustic setting and is situated next to the stables and cottages. Team building opportunities are endless. With 240 acres including beautiful woodlands, you could try traditional country pursuits such as falconry or sheepdog handling, or even duck herding. For the more energetic delegates, you can try Zorb football and Gladiator joust. When you get tired, relax in the luxury Spa – on the lower level, there is a heated indoor swimming pool measuring 18 metres long x 7.5 metres wide x 1.2 metres deep complete with underwater music, a relaxation area around the swimming pool and a sun terrace with luxurious loungers, an aromatic steam room, experience shower and pre-swim shower. The Spa’s gym has natural light and tree top views and the Technogym equipment has integrated televisions. What better reason could you have for holding an event at one of these two fabulous properties? How about a complimentary drinks reception for up to 40 guests if you confirm an event on or before 30th September? Contact us now for more details…..